In Arabic, The Huffington Post Takes A Stand Against Atheists, Gays, And Selfies. In English, the site is best known for its liberal, progressive politics and embrace of popular culture. But its new Arabic offshoot seems to be heading in a different direction. An Algerian columnist recently warned of a growing trend that could bring Islamic civilization crashing down: the selfie. More young Muslims are taking selfies, he noted, a symptom of “the diseases and the viruses of the Western world” making their way into Arab lands. Such sentiments are typical fare for readers of socially conservative and politically Islamist media in the Arab world. But its publisher was one new to the Arabic-language media scene, and better known for its close ties to liberal and progressive politics: the Huffington Post. While selfie culture is a mainstay of the Huffington Post’s English-language sites, readers would rarely expect to see religious-tinged screeds denouncing them. 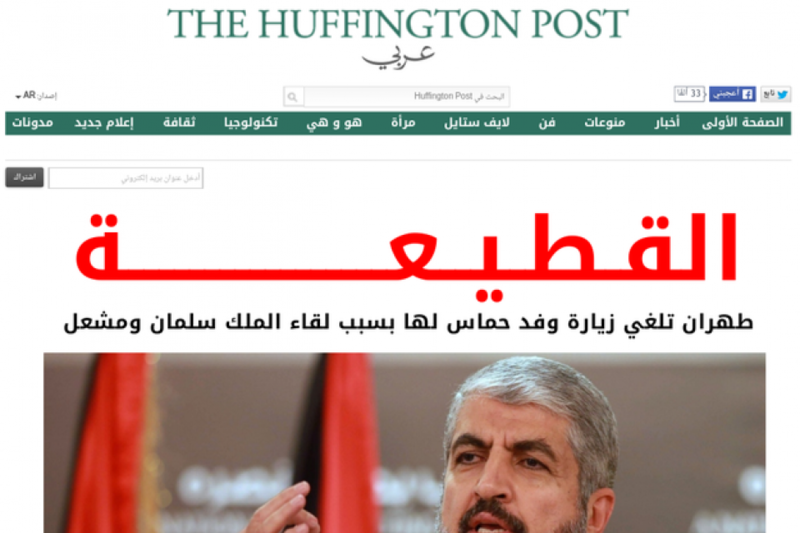 Many Arab readers have expressed surprise and disappointment that Huffington Post Arabi, as the new site is known, seems to have taken such an editorial departure from its parent. But the themes of the article — of a declining and humiliated Muslim world needing to be reinvigorated by a return to traditional values — are classic tropes of conservative and Islamist media in the Arab world. So why are they showing up time and again on the outpost of one of America’s best-known progressive websites? Critics of the new site have focused on the men overseeing it: Al Jazeera Arabic alumni Wadah Khanfar and Anas Fouda, both of whom are widely considered to be sympathetic to political Islam. Both deny any bias in their work, but the site has already been forced to withdraw an article due to its inflammatory message and language. The article drew on tropes common to Islamist media: resentment of liberals and secularists, the belief in a broad conspiracy against true Muslims, and incitement against gays and other minorities. Its publication by the Huffington Post had many bewildered. Since its launch in July, Huffington Post Arabi has published plenty of the kind of stuff you would see on its English-language mothership: quick aggregation of breaking news stories, lively entertainment coverage, and a healthy smattering of liberal bloggers. But it has also caused plenty of raised eyebrows on the Arab social web, as readers who associate the Huffington Post with left-wing celebrity columnists, sideboob, and reliably progressive takes on pop culture come across article after article infused with religious and social conservatism. The company says many of those raised eyebrows are inevitable as it tries to publish truly diverse voices in a region where war, revolution, and withering government crackdowns on opposition groups have left the public intensely divided, and quick to denounce those with opposing opinions. Huffington Post Arabi is being run as a joint venture between the Huffington Post and Integral Media Strategies, a company run by former Al Jazeera chief Wadah Khanfar. 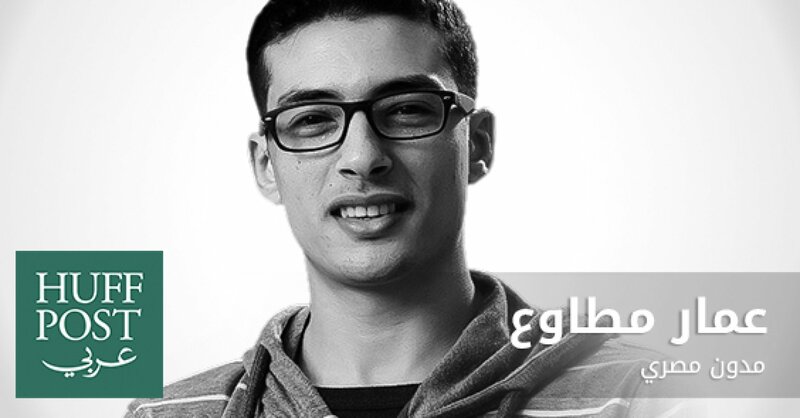 Its editorial operations are being led by editor-in-chief Anas Fouda, another Al Jazeera veteran. Khanfar became managing director of Al Jazeera Arabic in 2003; a 2007 article inThe Nation contained complaints from numerous current and former staff that under his leadership, the channel took on increasingly Islamist leanings. “The liberals, the secular types, the Arab nationalists are getting downsized and the Islamic position is dominating the newsroom,” Shaker Hamid, a former Al Jazeera correspondent in Baghdad, told The Nation at the time. Fouda was detained without charge in the United Arab Emirates in 2013 as part of the Persian Gulf country’s crackdown on alleged Islamist sympathizers (he was released after a month). In a statement, he told BuzzFeed News that he “became closer to the Muslim Brotherhood as the leading opposition group in the parliament” during his time at university in Egypt in the late 1980s. “I severed ties with all political groups in the 1990s, so that I could maintain my journalistic independence and integrity,” he said. Since then, he has worked at a number of media outlets, including 24-hour Arabic news network Al Arabiya and its parent company, the Dubai-based MBC Group. In signing up with the Huffington Post, he appears to have taken inspiration for the Arabic site from founder Arianna Huffington herself. The first time the two met and discussed the concept of Huffington Post Arabi, “she spoke to me of the wisdom that is in our region, a region that was once the cradle of civilization and religion,” Fouda wrote in his editor’s note marking the launch ofHuffington Post Arabi. Tom Gara is the business editor for BuzzFeed News and is based in NewYork.Contact Tom Gara at tom.gara@buzzfeed.com.